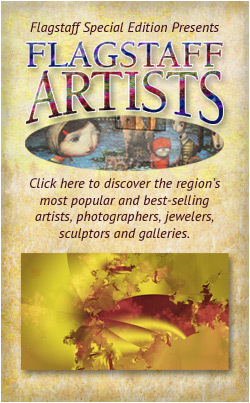 Connect with an upscale audience of art collectors, tourists, vacationers, business travelers and the local Flagstaff community 24/7 on Northern Arizona’s premier Art and Travel site. The cost of entry is embarrassingly inexpensive compared to traditional print and broadcast advertising, and access to your market is far greater. 580 pixels wide x 119 pixels high. You may provide your finished ad or we are happy to design one for you. One-time ad design fee is $150. Ad will link to your website or Optional Landing Page. 250 pixels wide x 250 pixels high. Sidebar ads appear on every page in the site except the Hotel Reservations section. Square Sidebar ads auto-rotate for equalized impressions and are available to only three advertisers. You may request a specific page location; final placement is subject to availability. 250 pixels wide x 125 pixels high. 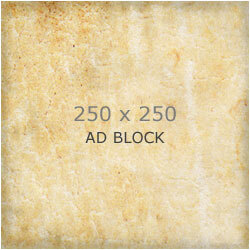 Ad rates are based on Advertiser-furnished ads at the exact pixel dimensions specified, in JPEG, GIF or PNG formats. Flash or animated ads are not accepted. An Optional Landing Page is ideal if you don’t have or want a website, and is available with any End of Article Ad or Sidebar Banner. Simply provide us with copy and images (maximum 500 words and four images) and we’ll build the page for you. There is no set-up fee and you may include up to seven outbound links. Design Tip: Design your ad so that it blends and complements the existing site colors on Flagstaff Special Edition. Studies show response rates are nearly 86% higher for ads that blend as opposed to ads that clash with their surroundings. Flagstaff Special Edition is all about an attractive, quality experience. Advertising space is limited and we can only accommodate a small number of qualified, regional Advertisers. Grow your business by connecting with an upscale audience of art collectors, tourists, vacationers, business travelers and the local Flagstaff community 24/7 on Northern Arizona’s premier Art and Travel site. To secure your space, please fill out and submit the following form, or call Dan Turner at 928-853-6093. We wish you much success!